In comparing math and jazz, Miller and Schneiderman don’t want to suggest a “scientific” approach to music. Quite the contrary: They emphasize the creativity, collaborative ethos and search for beauty inherent in mathematics. How can we make music from trash? The Trash Music project was recently awarded a UGA Office of Sustainability Campus Sustainability Grant to explore the intersections of music, creativity, environmentalism, and sustainability. 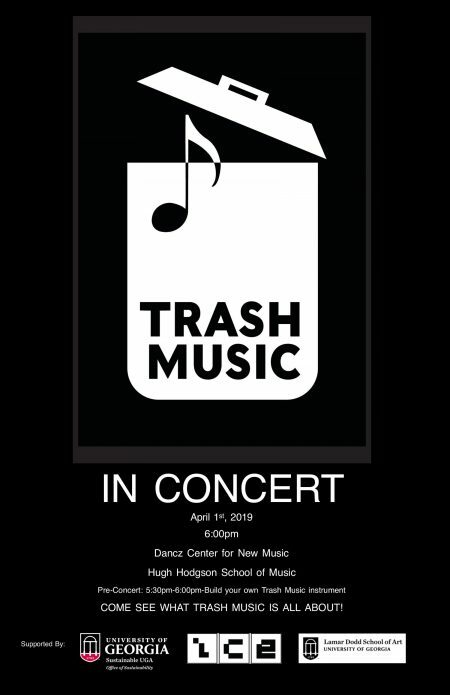 This musical performance will feature trash musical instruments and compositions written by UGA student composers. A pre-concert instrument making session will take place at 5:30 PM for anyone interested in building their own trash instrument. This event is free and open to the public. If you are interested or have any questions, please contact Ciyadh Wells: ciyadh.hillwells@uga.edu. Hendershot’s Coffee Bar, 237 Prince Ave. 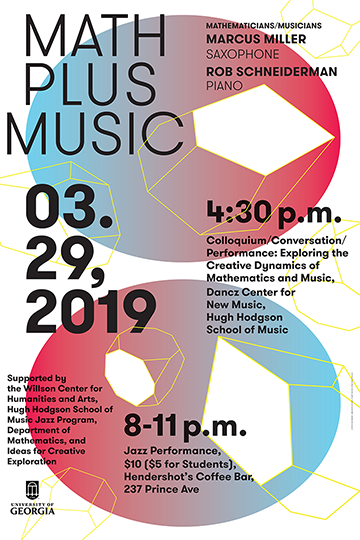 In live musical performance and open discussion, Marcus Miller and Rob Schneiderman demonstrate/explain analogies between the dynamics of the discovery/creation/learning of both music and mathematics. As a consequence of the abstract natures of music and mathematics these analogies can provide insight into other human disciplines. 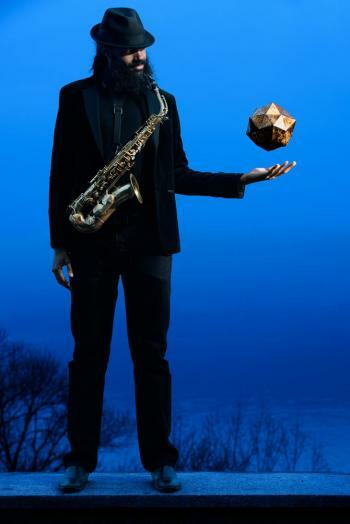 Marcus Miller graduated from Harvard University with a degree in mathematics. After a stint working for a hedge fund, he has since been traveling the world playing music, both leading his own groups as well as performing with jazz artists such as Grammy-nominated vocalist Jazzmeia Horn and Late Show musical director/pianist Jon Batiste. Miller has performed at the Obama White House, and has studied music production and engineering under grammy-winning sound engineer “Bassy” Bob Brockman (Notorious B.I.G, Herbie Hancock, D’Angelo). Miller has spoken at the New Jersey Association of Music Educators, and was noted as an Artist of Distinction by the State of New Jersey. He is the creator of theMath+Music Project, and is currently the host/creator of the Quadrivium series at New York’s Museum of Mathematics, while he continues to study and teach mathematics. Rob Schneiderman joined the Lehman College CUNY department of mathematics faculty in 2006 after a busy career as a musician,including performances and recordings with jazz luminaries such has EddieHarris, James Moody, Charles McPherson, JJ Johnson, Jimmy Heath, Clifford Jordan, Art Farmer and Harold Land, as well as 10 recordings as a leader for the Reservoir Music label and a more recent Tone Twister release on the Hollistic MusicWorks label. In 2001 Schneiderman received a PhD in mathematics from UC Berkeley under the guidance of topology guru Robion Kirby, and before his current professorship at Lehman, he had postdoc positions at the Max-Planck-Institute for Mathematics in Bonn, NYU’s Courant Institute and UPenn. 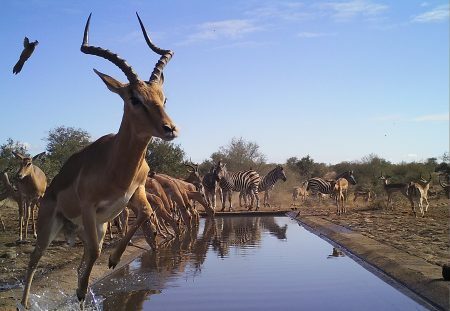 His research is focussed on studying 3-dimensional and 4-dimensional spaces. In addition to many research articles in mathematics journals, Rob’s musicomathematical essay “Can One Hear the Sound ofa Theorem?” was published in the Notices of the American Mathematical Society and in the collection Best Writing on Mathematics 2012, Princeton University Press. Supported by the Willson Center for Humanities and Arts, Hugh Hodgson School of Music Jazz Program, Department of Mathematics, and Ideas for Creative Exploration. This panel will include Made Bayak Muliana, Dr. Amy Ross (Geography), Dr. Betina Kaplin (Romance Languages),Dr. Peter Brosius (Anthropology), and Athens-based artist Broderick Flanigan. We seek to expand discussions on media-based representations of violent events that are unseen, destroyed, or silenced. Discussion on the process of curation and culmination of difficult or unsayable histories, as well as the consequences of their insertion into public spaces, will be conducted through a question and answer forum facilitated by Lamar Dodd graduate student Alden DiCamillo. Made Bayak was born in 1980 in Tampaksiring, Gianyar Regency, Bali, Indonesia. He completed his studies at the Indonesian Institute of the Arts Denpasar in Denpasar, Bali, Indonesia in 2006. His work addresses the human devastation of the Indonesian genocide of 1965-66 and the environmental devastation of the Balinese island’s once-pristine environment caused by tourism-driven development and the lack of local awareness of best ecological practices. His methods include activism and social organization, teaching workshops, painting, drawing, sculptural objects, installations, performance art, and music performed with his heavy metal rock band Geeksmile. 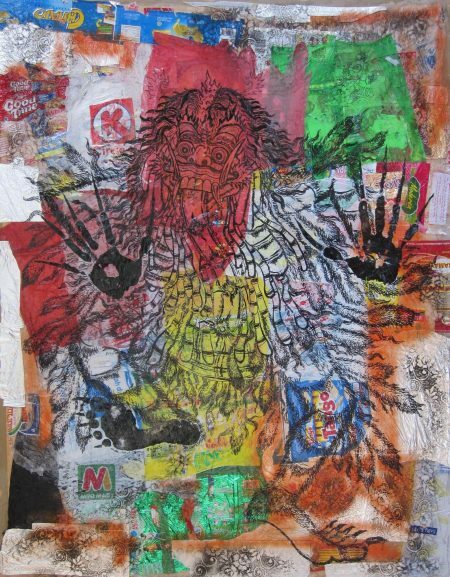 Plasticology is an ongoing project in which he uses waste plastic to make art objects, paintings, and performances, as well as teaching Plasticology workshops to children and communities. In 2014, he was buried up to his neck by an excavator/backhoe during his performance at the Padang Galak Beach Tolak Reklamasi Art Event held to protest the Balinese government’s plan to develop the Benoa Bay to the benefit of outside commercial interests (Reklamasi Benoa). The populist movement ForBali (Tolak Reklamasi) calls for Bali to reject (tolak) this “reclamation” of the Benoa Bay. 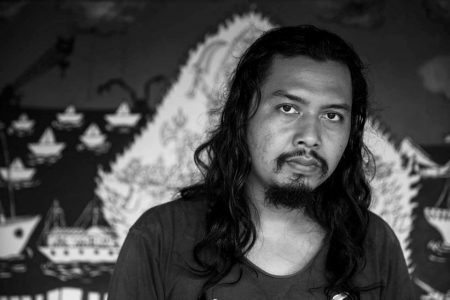 Nominated as a finalist in Singapore’s prestigious 2013 Sovereign Art Prize, Made Bayak continues to conduct his activist practice and to exhibit his works in Bali and, most recently, in Germany and Poland. Sponsors: Athens Institute for Contemporary Art (ATHICA) with the support of The James E. and Betty J. Huffer Foundation and Creature Comforts Brewery, the Willson Center for Arts and Humanities, the UGA Department of Anthropology, the UGA Center for Integrative Conservation Research (CICR), Ideas for Creative Exploration, the UGA Office of Sustainability, Lamar Dodd School of Art, the Lyndon House Arts Center, and the ACC Solid Waste Department. Lake Herrick is a 15-acre body of water on the UGA campus, located within the Oconee Forest Park complex. After 16 years of closure due to water quality issues, Lake Herrick was re-opened this past October! 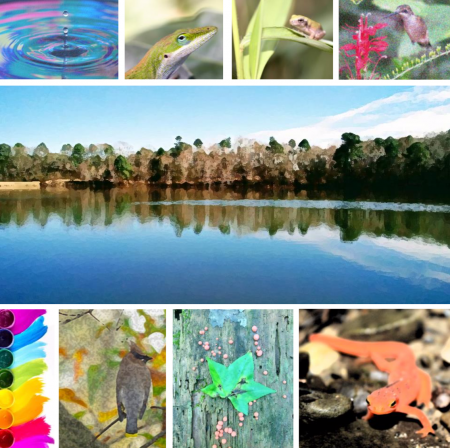 Come join us to learn about water quality, wildlife, and ecology through a culmination of artistic activities including showcases of visual art, music, and activities. This is a kid-friendly event organized by UGA students, scientists, and amazing artists in the Athens community! – Trash Music and Make Your Own Instrument! Supported by the Campus Sustainability Grant program. This pop-up exhibition is the culmination of the project Exploring Research as Craft: A Workshop Series to Promote Cross-Discipline Communication by Examining Processes of Creating to Approach Questions. Refreshments will be served. How does the researcher’s hand guide materials in efforts to contribute new understandings about the world around us? How does the artist’s practice press into the intuition of scientific research to draw out non-linear truths and trajectories? How does material gain and define meaning through interdisciplinary efforts? Exploring Research as Craft collaboratively engages seemingly disparate disciplines through craft, material meaning making, and critical response. Academic siloing and the prioritization of jargon over communication endorse strict and disciplined understandings of science, art, research, and craft. Here, we evince the porous and fluid natures of these concepts. We actively call upon shared language and meaningful encounters to establish links between spaces of differently situated knowledges. As entanglement and productive friction are increasingly recognized as vital tools within collaboration, there is a growing need to develop practices of intentioned engagement. Here, we reveal the visual dialogue that is possible within and among diverse research practices. Individuals from manifold departments at the University of Georgia have brought together their craft to create new media-based languages for personal history-making, speculative organ generation, virtual reality, performance as embodied re-experiencing, and other visually poetic statements for the deconstruction of traditional disciplinary divides. Exploring Research as Craft is supported by Ideas for Creative Exploration and ATHICA: Athens Institute for Contemporary Art.